My 86 25HP two stroke Yamaha seems low on power, I pulled plugs when I got back to the dock, One plug was back(top plug, no bad little dark) the bottom plug was white whit a touch of bronzing. I'll post pics tomorrow as it is dark now. Its like the top cylinder is not firing all the time and when it does it is fouled. Is there any good way to check this out with out going to a shop? 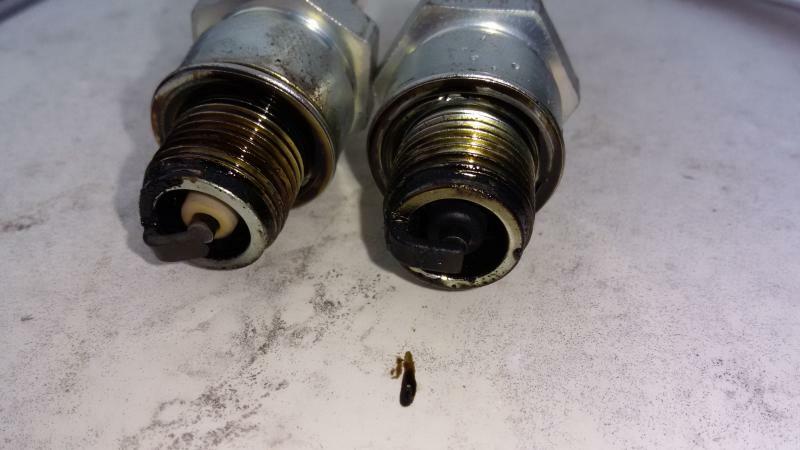 You can buy a inline spark tester for under $30 at auto parts store.. That should confirm the failure. I'll do that, I did not know if anything other than a the ignition could do that? I do not know much about the ignition of boat motors, is their separate mags or coils? Newer engines have a CDI system, have no idea if your is points or CDI. This is what the plugs look like, the black one if from the top cylinder. How do you check the coil and see if it is good? Does your motor have 2 carburetors or one? It has just one carb. 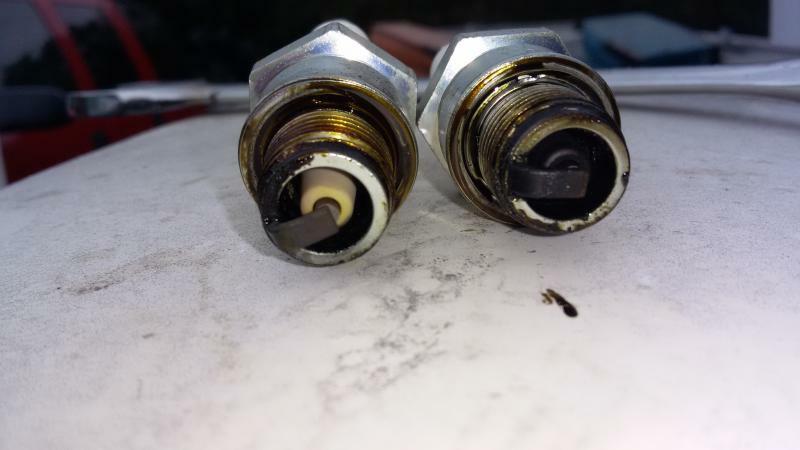 If it's got spark on both cylinders, the coil is ok-usually. Failed coils on Yamahas are pretty rare in my experience. Single carb, so that rules out one carb being plugged. Could be a reed valve issue. Or air leak. Could be air leak at the lower crank seal. I ain't been into one of those in a while but some had a plate that is bolted to the block which retains the seal-and if an object was struck hard enough, the plate could break, then causing air leak-showing up as a lean lower cylinder. Check the engine compression. Any way of using a timing light to check the spark while it's running? Does it run with one cylinder pulled? I sure can, where do I chack the timing. I see there are marks on the flyheel, nextra to where the rod is that adusts the timing. I have not tried pulling a wire, was going to do that. We are in a good rain storm so I have not messed with it too much.